Shortens the duration of Kennel Cough and prevents the occurrence of more serious infections. Prevents harmful bacteria from infecting the respiratory tract. Enter Your Email Below For an Instant Coupon for 20% Off! 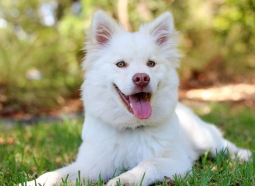 Respiratory problems such as Kennel Cough can be worrisome. The sound of your dog hacking is terrible and unable to catch their breath makes many of us feel helpless. The good news is that while Kennel Cough may sound serious, it can be treated easily. There are two main ways to prevent Kennel Cough. The first is to control your pet's environment. Cold temperatures, dust or cigarette smoke, poorly ventilated conditions ( found in shelters or kennels-hence the name ) and stress are all environments that will contribute to developing kennel cough. 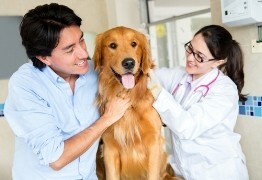 Of course, you must also work to keep your pet healthy so they can fight the bacteria. Just like us humans, a combination of a healthy diet, daily exercise, and proper supplementation can keep your dog's body healthy. Prana Pets Respiratory Support is ideal to prevent and treat Kennel Cough, but more importantly, it will keep the respiratory tract healthy to fight off the bacteria. * Note- Do not confuse the sound of Kennel Cough with a reverse sneeze. These are common in small dogs and certain breeds. This is caused by nasal drip and should be treated with a sinus product. Respiratory System Support is a leading safe, non-addictive, natural medicine containing 100% homeopathic ingredients selected to relieve symptoms such as wheezing and shallow, labored breathing and coughing in dogs, and promote healthy lung function. Taken internally, the ingredients in Respiratory System Support effectively reduces respiratory problems by addressing symptoms and their causes at a cellular level, thereby contributing to harmony and health in the respiratory system. As a dog parent, there is nothing more distressing than seeing your pet struggle to breathe through an acute coughing or wheezing episode. Everyday activities such as playing fetch outside may suddenly be too much for a dog. Other symptoms of poor respiratory functioning can range from loss of appetite or weight loss to shortness of breath, severely lessening your dog’s quality of life. Administer drops directly into mouth. . Drops may also be added to a small amount of wet food or water, as long as the entire dose is consumed consistently. Dogs under 20 lbs: 10 drops. In acute cases, one dose every 15 minutes up to 6 doses may be administered for symptomatic relief. Repeat as needed for prevention. "My Jack Russell Terrier, Rascal recently got Kennel Cough. I think it was from a dog in the dog park. I do not believe in the Kennel Cough Vaccine as it is not very effective, and I do not want to subject to subject rascal to unnecessary vaccines. I first tried a cough suppressant which helped a bit then added Respiratory Support which did the trick. I now use Respiratory Support all the time because Rascal has a partially collapsed Trachea." 3 Bottles For The Price of Two! 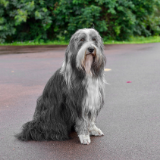 "Have a Beardie who has the worst immune system ever and has had Kennel Cough 3 times over the past few years. The vaccine does not work!! What I figured out is that by using Respiratory Support and Cold Support all the time he has not had any cold symptoms and when starts coughing even a bit I double the dose of both products and his cough goes away in days instead of weeks."